One of the most popular questions we come across—both in email and in-person—is what can a normal traveler do on a one day trip to San Francisco? The reality is, you can only do so much. To aid you in planning, here’s a 24 hour San Francisco guide to give you some practical advice during your time here. 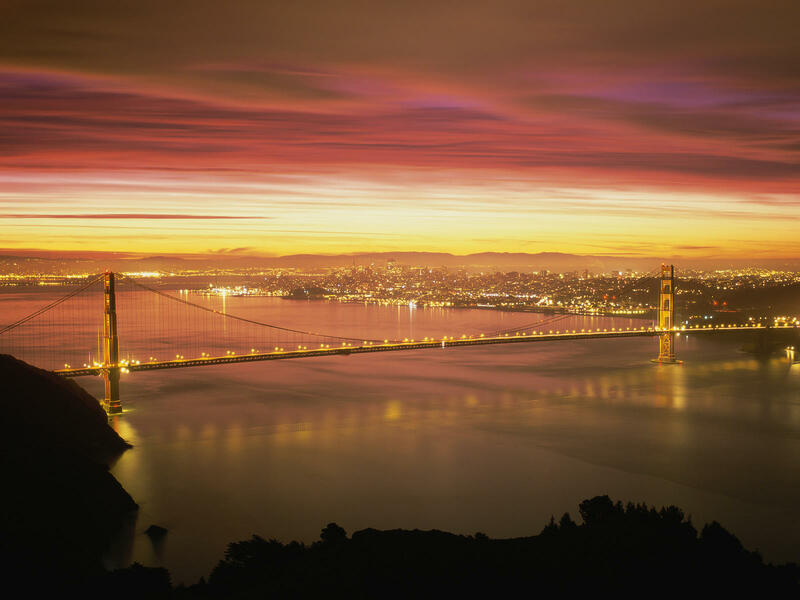 For only a day in San Francisco, we suggest you do as much as possible. Our philosophy is do the big, popular (dare we say exploited) landmarks first — such as Fisherman’s Wharf and the Golden Gate Bridge — and then, when you return at a later date, you can delve into the more local neighborhoods. Local tours are a good way to see the city, however, we’ve geared this guide toward the do-it-yourself traveler. 9 a.m.: From the Powell Street Station (near Union Square), ride the F-line streetcar along the Embarcadero. 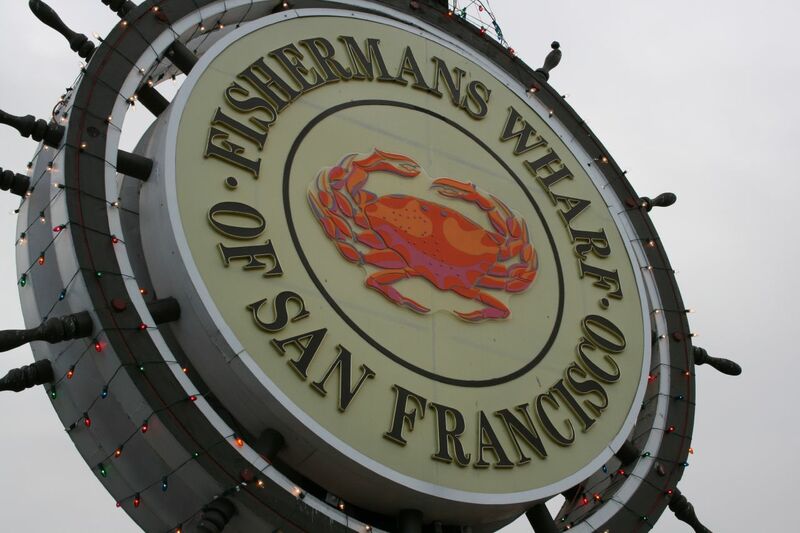 10 a.m.–12 p.m.: Explore Fisherman’s Wharf in the morning. 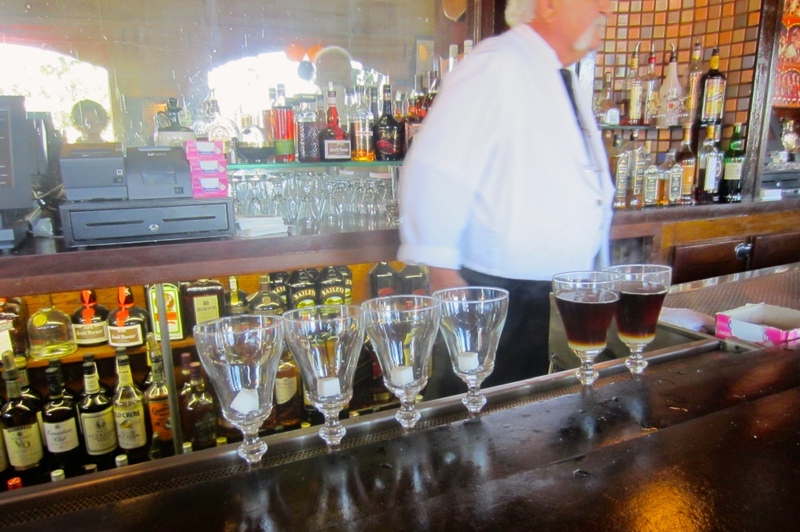 You can start at Pier 39, visit the sea lions, sample authentic clam chowder (at Guardino’s —on the corner of Beach and Taylor Streets), see Bushman, followed by an Irish coffee from the Buena Vista Cafe before lunch. 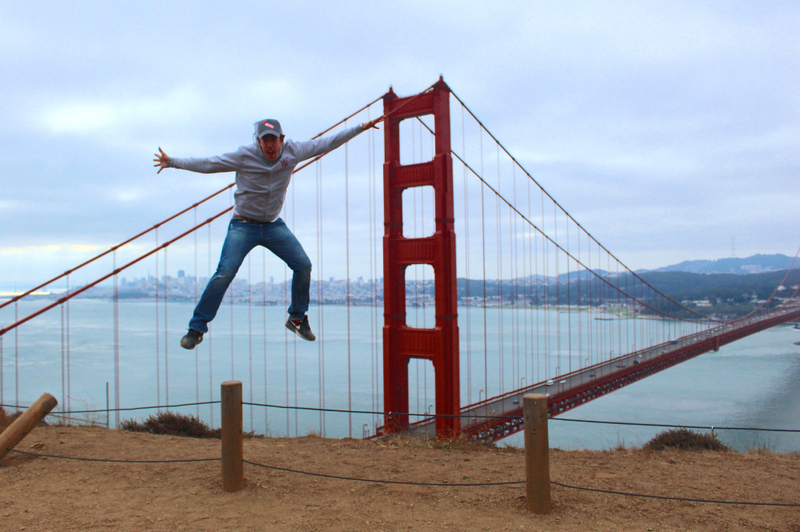 1 p.m. – 4 p.m.: Ride a bike over the Golden Gate Bridge. 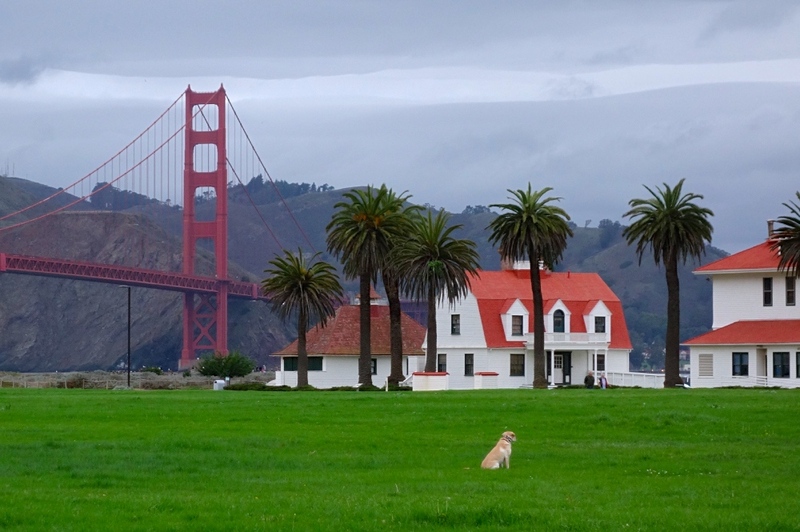 You’ll pass Fort Mason, Crissy Field, The Marina and the Palace of Fine Arts. 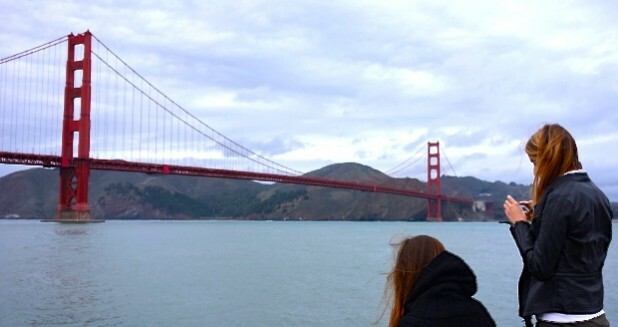 4 p.m.: View the Golden Gate Bridge from the Marin Headlands. 5:30 p.m.: Cruise back to Fisherman’s Wharf along the Bay — float past Alcatraz before you return your bike. 6 p.m.: Cab or ride an Uber over the iconic hills of San Francisco. 7 p. m.: Have a late afternoon nap, which might be much needed. 9 p.m. to ? : Enjoy a late-night dinner or a few drinks on Polk Street, a more local party section of town. Your day is filled, but you only have 24 hours. Why not make the most of it? So you’re committed to doing it yourself, right? Our first tip — especially if you stay in a hostel near Union Square — is to NOT visit Union Square in the daytime of your first day. Rather, do the most touristy neighborhood in San Francisco first, Fisherman’s Wharf. Once you arrive at Fisherman’s Wharf — most likely via the historic F-Line streetcar along the lovely Embarcadero as you view S.F. 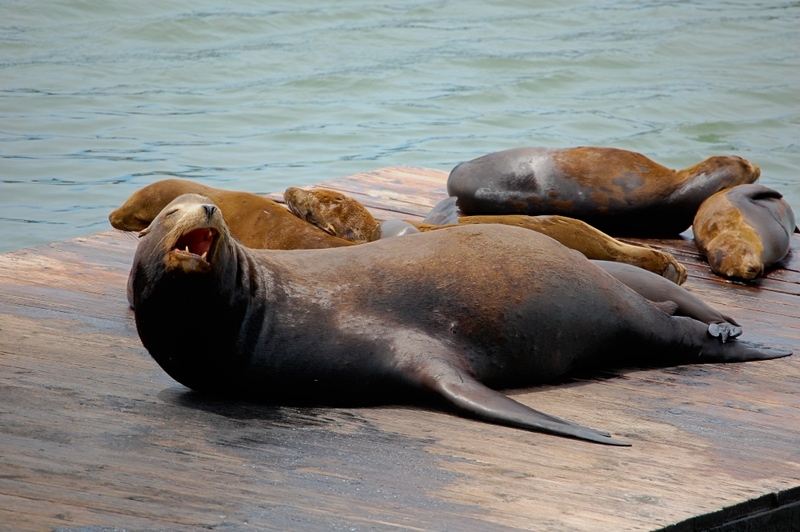 (possibly) for the first time — you want to hop off at Pier 39 to visit the famous sea lions. After all, you want to say you saw the popular animals, but be careful, because Pier 39 can be a tourist trap. It’s a great place to start, but your final stop is Blazing Saddles bike rentals on Hyde Street, so we recommend you don’t dawdle too long. Along the way, we suggest you visit the general sites of Fisherman’s Wharf — Bushman is usually located on the bay side of Jefferson Street near the final F-Line stop (he scares tourists from behind a self-assembled bundle of tree branches). The giant Fisherman’s Wharf sign is located at Taylor and Jefferson Streets; and on the opposite corner of the same intersection is Guardino’s, a good place to try S.F.’s staple dish, a bread bowl of clam chowder. Guardino’s isn’t a large tourist restaurant such as Boudin’s, but you’ll beat the crowds, not wait in line and sample a good form of clam chowder. It’s also the least expensive — and still delicious — form of clam chowder in Fisherman’s Wharf. The cost is around $8. And nothing provides a pick-me-up like an Irish coffee from the Buena Vista Cafe, either, especially if you’re hungover from the night before. 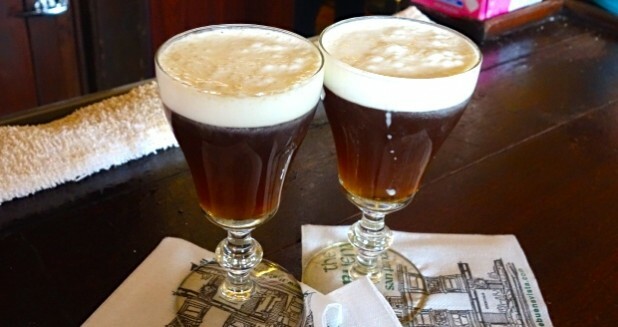 Buena Vista Café is famous for its Irish coffees — selling about 2,000 per day. If you’re cold from exploring Fisherman’s Wharf — or just want to get drunk early — try your hand at a couple of the delicious cocktails. Just as a heads up, the restaurant will most likely be crowded. Once you have your rented bike (and some “energy” from the Buena Vista) — and remember to ask for a free bike lock so you can explore the San Francisco attractions while your bike is protected — grab yourself a map and you’re off to the races. When you reach the first hill on your way to the Golden Gate Bridge, don’t forget to look back at Fisherman’s Wharf to appreciate the neighborhood you just conquered. It might be hokey, but it’s a famous area of S. F. nonetheless — and you just tasted a good portion of the borough before noon. Great job! 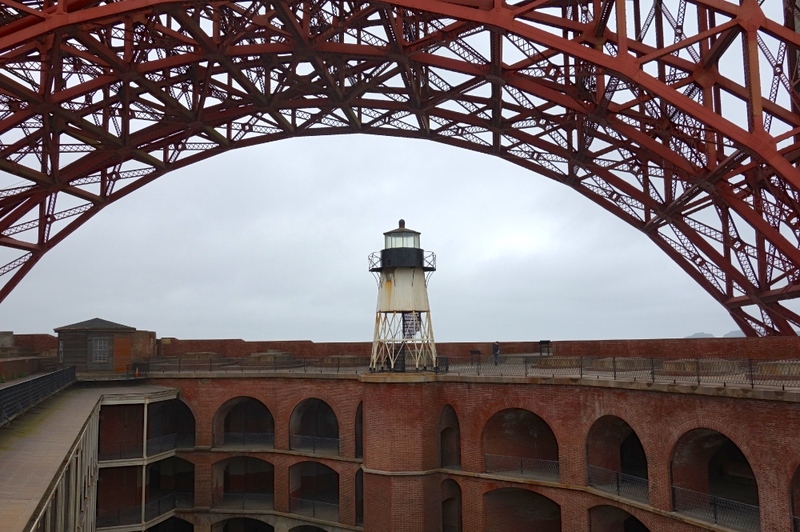 The next stops on your bike ride (and we need to speed things up for time’s sake), are the Palace of Fine Arts, the Crissy Field Warming Hut (for restrooms and in case you get cold — hence the name), and if you have time and/or are interested, Fort Point Historic Site. The reason we’re reluctant to suggest Fort Point to see as a definite on Day 1 is because the attraction takes time, especially if you only have 24 hours here. So unless you’re into Civil War history and want to walk through a mostly deserted fort, maybe give Fort Point a miss. Most people, once they reach the opposite side of the Golden Gate Bridge (and survive the sometimes-not-so-friendly local road bikers), like to stop at Vista Point for a view of San Francisco. You can do that, but we highly suggest you ride (or walk) up one more hill to the first stop of the Marin Headlands. The hill is a killer — and you might need to walk your bike — but we guarantee the view is worth it, especially on a clear day. By now it should be around 4 p.m. (give or take a few minutes), so cruise down to Sausalito to catch your ferry home to Fisherman’s Wharf (your ferry ticket should be included with your bike rental). But before you do — and especially if you’re hungry — try the restaurant called Hamburgers near the taxi stand in Sausalito. The restaurant closes at 5 p.m., though, so make sure you watch the time. If you want an original, classic California cheeseburger to enjoy while you wait for the ferry back to Fisherman’s Wharf, Hamburgers is your spot. For your transit choice home to Union Square, we recommend you avoid the cable car and F-Line at all costs. These forms of transportation are MUCH too crowded this time of day. Instead, hop in a cab or Uber over the hills of San Francisco. Not only will you save time (which you can use for a precious nap), but you’ll also learn how cheap and easy the cab system in San Francisco can be. Do yourself a favor — take a taxi home from Fisherman’s Wharf to make your life easy. Nightlife Options — What Can You Do? For nightlife we need to switch gears. The entire day we’ve hung at the crowded tourist spots, so now it’s time to go local. And for a local nightlife spot near Union Square, there is no better place than Polk Street. The nightlife in S.F. is rather relaxed. For women, don’t feel like you need to wear your 6-inch heels to impress. After all, we’re in a walking city. Make sure you dress to go out, but more importantly, dress for comfort. The city gets cold at night, too, so keep that in mind. Polk Street is on the other side of The Tenderloin, S.F.’s worst neighborhood for drugs, crime and homelessness. So instead of a walk through the TL, we recommend you walk the opposite direction toward Chinatown. 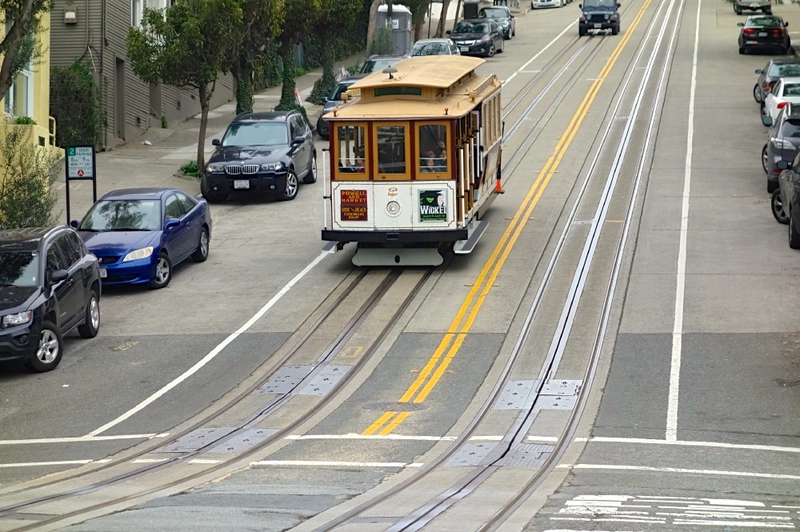 After about 5 blocks, you can catch the California cable car line directly to Polk Street. 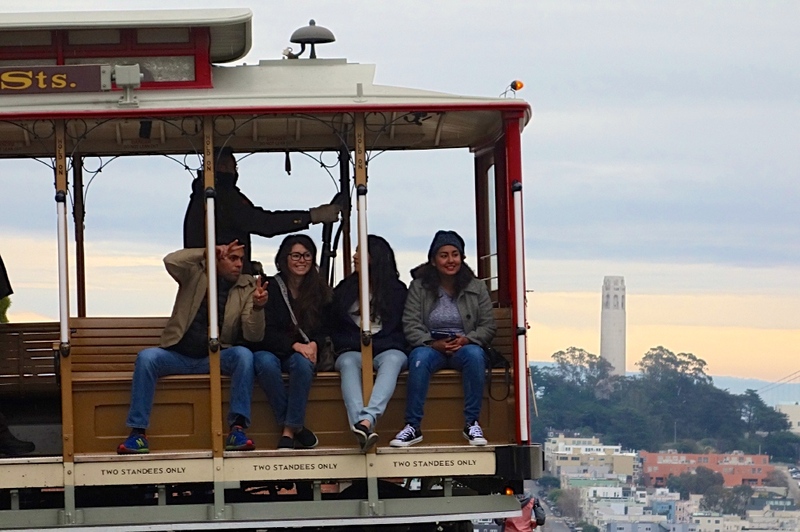 Not only can you ride over the upscale neighborhood of Nob Hill along the ride, but also you can knockout a trip on the historic cable cars at the same time — without a super-long wait in line (later in the night, the California cable car line is devout of tourists). You can climb on the cable car at the corner of Grant and California Street next to Old St. Mary’s Cathedral. And once you arrive at Polk Street — to the left of the cable car line as you exit (just ask the driver) — you can begin to find your favorite drinking spot. We recommend staying between Pine and Geary Streets. at places such as Blur, McTeague’s Saloon and the Kozy Kar (a special spot for a SF newbie — you’ll see). But be sure to ask around for advice, too. You might meet some cool and friendly locals in the process. If you’d like some late night food after your drink session, try Bob’s Donuts and go for the 3-minute donut challenge, or dine at Grubstake near the corner of Polk and Pine. For late-night food — Grubstake is king. You don’t need to blast all your energy on night one, either. You can always spend more time in San Francisco. Now give yourself a high-five. You just ruled Day 1 in San Francisco. It might be time-consuming and you might be tired, but the base you formed is unbeatable for your next couple of days in the city. Go get some sleep, because Day 2 is next. For a bike ride in San Francisco, you want to dress comfortably and in layers. The S.F. weather is killer — foggy, sometimes windy, sometimes sunny — so you need to prepare accordingly. And if you happen to forget warm items, buy a hoodie in Fisherman’s Wharf or a scarf at the Crissy Field Warming Hut. Try not to dawdle on Day 1. The biggest problem with a tour of S.F. is the waste of time we all fall victim to. 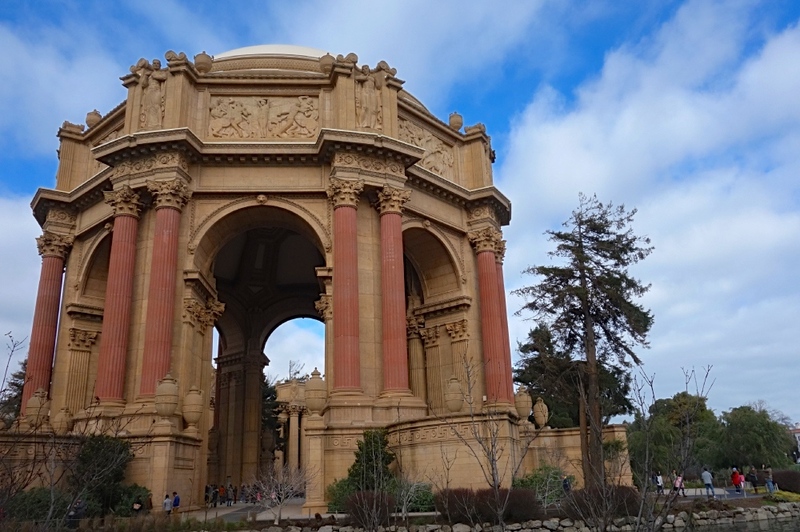 You can take your rests at cool landmarks such as the Palace of Fine Arts or Crissy Field, but try to stick to the timings to make the most of your day. And besides, you can sleep when you’re dead. Watch out for local bike riders on the Golden Gate Bridge. Some are nasty when it comes to tourists riding the bridge. After all, we like to stop in the middle of the path for pictures. So be cautious, but also understand that if you hear cursing, you might be in someone else’s way. Flash him a smile and move on. Make sure you reach Sausalito by 5 p.m. Not only does the last Ferry leave around 5:30 (and you want to get in line before everyone else), but the Hamburgers restaurant closes at 5 p.m., too. They offer a solid cheeseburger, too good to pass up. When you hop aboard the ferry, make sure you mark your bicycle. Hundreds of other people (literally) will have the same bike as you. So turn your handlebars, open your pouch — do anything you can to mark your bike for the ferry ride back. You don’t want to pay $200 for a replacement bicycle because some kid accidentally walked off with your ride. Have fun! Sometimes doing so much in one day can be stressful. But we guarantee if you get this packed day out of the way, the rest of your time in S.F. will be easier. You’ll leave the city much more fulfilled at the end of your visit. Make sure you plan your meals accordingly. We recommend a bowl of clam chowder for lunch and Hamburgers the restaurant for a late-afternoon dinner. If you need more food than that, consider waking up early for breakfast in Union Square — you can’t go wrong with Lori’s Diner. But there are better (and cheaper) places away from Union Square. If the bike ride wipes you out for the day, consider a calm dinner at the Cheesecake Factory. It might be a chain restaurant that S.F. locals scoff at, but it has a great view of Union Square from above. After all that exercise, you can use those extra cheesecake calories. And most important is to go with the flow. Things can change, prices can fluctuate and sometimes all plans become obsolete. If that happens, just roll with the punches and keep smiling. After all, you’re in San Francisco, so you might as well make the most of your time. Do You Want a Tour of San Francisco? Several tour companies operate in San Francisco, some better than others. For walking tours, look no further than Wild SF Tours (who many times, offer hostel discounts), and for city tours try our friends at Vantigo. They cruise you through San Francisco in an old-school Volkswagen van. Talk about San Francisco! Any more suggestions? Contact us!